August 2010 - Berkeley Sessions Almost Complete! We've received many request to get the Natural Grooves Berkeley Sessions done and released. For all those asking: the new drum loop and sample sessions will be coming in September 2010! Great stuff for rock and alt rock! So, hang tight, the new grooves are just about finished! Updated 9/2010: Berkeley Sessions ready to go! February 25, 2008 - Buy Entire Sessions with One Click! By popular request, Natural Grooves is now offering downloads of complete sessions in a single click. And, on top of the convenience of making a single purchase to get the entire drum loops session, we offer these complete, versatile and powerful loop and sample sessions at unbeatable prices. So, get more bang for your buck and grab entire session at some very sweet prices. Where else can you get complete, single-session collections of drum loops (with matching single hits of drums and cymbals) for under $30? If you do find, we say buy it! 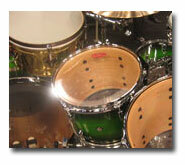 And, for all those asking: New drum loop and sample sessions coming spring 2008! September 10, 2007 - Buy Three, Get Three Free! Need some Natural Grooves? Want more for free? Then, take advantage of the Fall 2007 "Buy Three, Get Three Free"special. Order any three download packs and get three for free - it is that simple. Simply place your order and email us your three requests for the bonus. Get twice the grooves, get twice as much music written without spending a penny more! Special ends September 30, 2007 and does NOT apply to the Full Set downloads (which are already insanely discounted). Buy now and double up, September 2007 only!. January 16, 2007 - The River Sessions! New and Powerful Grooves for Rock and More! Fresh New Grooves from Natural Grooves! Natural Grooves is proud to release the latest drum loop session "The River Sessions" - 300+ new and kicking loops. The "River Sessions" collection of popular acoustic drum grooves. Covering tempos from 50 BPM to 120 BPM and versatile selection of straight and swinging feels, this cohesive session is perfect for anyone writing new rock, pop rock, blues-rock and more. Get some rock-solid new grooves that have the classic Natural Grooves sound that everyone has been asking for. Get the new set instantly - it is ready for instant download right now! 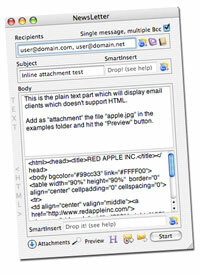 December 18, 2006 - Our new website comes with a great new session! We've spent the last few months in the recording and editing studio working on some new sounds for you to use in your music. If the reaction of our current users who gave us feedback on the new session represents the the rest of you, we think you'll really like the sounds. We also hope you'll enjoy the new look of our new website. We feel it will provide even more functionality and an overall more pleasant experience in getting you some great new grooves. Look for more information, tutorial pages, and user music pages soon. July 5, 2006 - Percussion Loops are here! We've heard your requests for great sounding, realistic percussion loops, and we are happy to oblige. Check out our newest release, the Cornerstone Sessions percussion set. Loops in styles such as Afro-Cuban, samba, funk, hip-hop and more. Samples of congas, bongos, surdos, pandeiros, shakers, udus, rainsticks and other instruments. Listen now in the download store. April 1, 2006 - New Customer Special! New to Natural Grooves? Need live studio drum loops right now? Then, take advantage of the spring "Get To Know Natural Grooves" special - $0.99 for one of our most versatile rock groove sets! One taste and we know you'll be back for our other power-packed drum loop sets! Get the special deal in our download store before the end of June (look in the Brass City Sessions for "75 BPM Big Rock Set II"). Special ends June 30th, 2006. March 31, 2006 - New Loops Released! Check out the brand new Brass City sessions. Nearly 1 GB of drum grooves in total in the Brass City sessions - all geared for rockers and bluesy-rockers. You get a wide variety of tempos - from 60 BPM to 150 BPM - as well as grooves feels - straight, shuffles, 12/8, and more. All were cut from a single recording session so seemless mixing and matching is guaranteed! Be sure to grab the multi-velocity sample set to have truly complete control over your next rocking project! 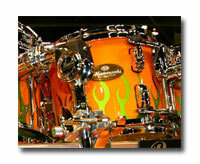 March 10, 2006 - Get the Latest News and Product Release Specials on the Natural Grooves Newsletter! Natural Grooves Newsletter is now available. Email Natural Grooves to sign up for free loops and newsletter. The Benefits? * Discounts - Get notices of loop specials, save $$$. * No Spam - We will never share your email address with anyone, at any time. So, get a ton of free loops, special offers, and the latest news - just send us an email and you're in! March 1, 2006 - The Start of Something New - Natural Grooves Site Launched! Natural Grooves Site Launch! Welcome to Natural Grooves - your instant source for powerful, easy and inspiring drum loops and drum samples. Grab drum loops and samples for all your drum track needs. More downloadable drum loop sets to come.